Jesus loves Russia ❤️! Many miracles of healing, salvations and deliverance! My friend Shawn Brann invited me on an incredible Russian ministry trip. We traveled to 3 cities by plane and spoke at a conference, local churches, a night club church, and a youth gathering. We just got home and we saw Jesus do the most incredible things there! I am truly amazed and impacted by a move of God that is happening in Russia! The Russian church movement that we ministered at has planted over 3,600 church since the iron curtain fell in 1991. One lead pastor named Ivan is the second person in charge leading this movement. In 1992 pastor Ivan lived in his car and would open-air preach in the central square in Moscow and crowds of 1,000 people would come, listen and many would respond to the gospel message! They planted 1,800 churches in the last 5 years and plan to have 10,000 churches established by the end of 2020. Almost all of these are from brand new converts! Praise Jesus! These Russian believers are so on fire and risk going to jail for preaching the gospel outside of a church. It was such an honor to meet them and encourage one another in Christ! We witnessed Jesus healing many in Russia. This lovely girl pictured was losing her eyesight for the last 2 years. She could not see faces that were only 2 meters away, but after prayer, she could! Hallelujuah! She cried and testified what Jesus did for her! Ringing in ears stopped, many knees, shoulders, backs, necks, and breathing problems healed. A lady had a crippling problem in her hands. She could not open and close her hands all the way. 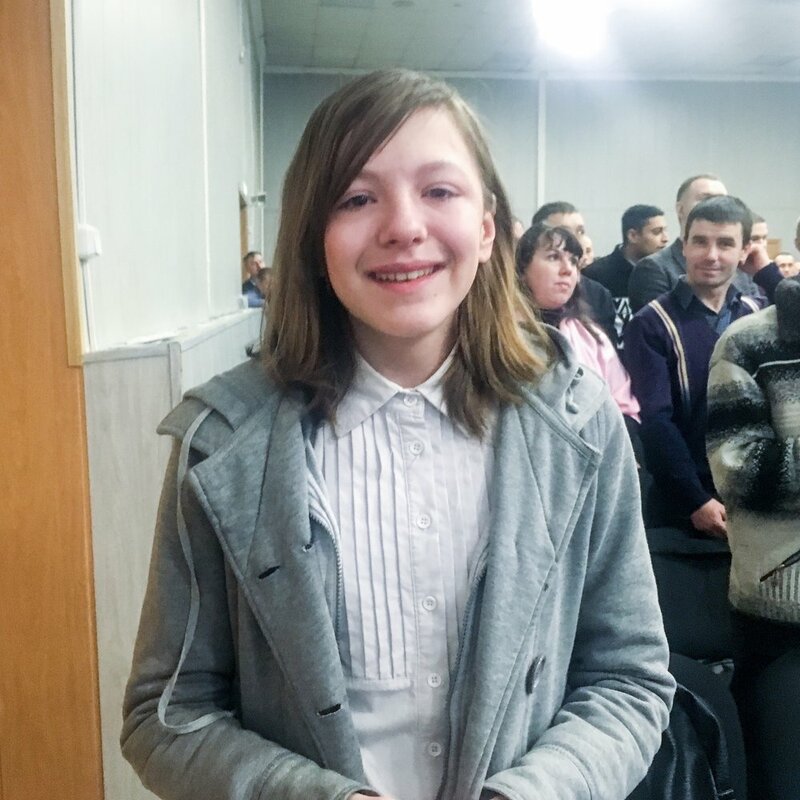 After prayer, she was healed by God! Mobility and movement in many body parts were restored and became pain-free. We saw Jesus do the greatest miracles of all. Many were saved as they responded and said "yes" to receive Jesus as their Lord and Savior for the very first time! All glory to King Jesus! This was the first country I have ever visited where you can go to jail for sharing Jesus outside of a church. It is illegal to evangelize outside of a church building. Needless to say, this did not stop us. We shared Jesus to hotel receptionists, Uber drivers, a restaurant waitress received healing and was already a follower of Christ. We saw an incredible mini healing miracle service happen in a Russian souvenir shop. (Pictured here). We ended up getting to pray for 9 of the employees of this store because one man who we think was the owner or manager walked around and gathered up all the employees to be healed by Jesus after he witnessed the very first miracle. One guy started to swear "What the %#@!!!" He had a bad back and he could not believe that after prayer, he could now touch his toes pain-free. He said it has been over 4 years since he could bend over and do this. We preached the simple and powerful gospel of salvation through Jesus alone. The manager or store owner said he wanted to have Jesus as his Lord and Savior. I wish you could see his face after he was born again! His eyes were so bright and the smile on his face I hope I will never forget! We exchanged contact info to help him continue in his God walk. Yay Jesus! Every country is so special to God and it is such a huge privilege we get to share Jesus with the world! Hallelujuah! Thank you for all your love, prayers and support. We felt your prayers on this trip! Older Post❤️These 6 wonderful young men ALL get saved in Basel, Switzerland! !